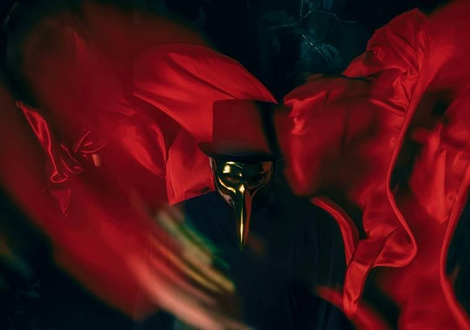 With Claptone’s second artist album ‘Fantast’, the 13 tracks come together to create an album full of varied colours and atmospheric textures. In music, he seeks not to create a world of secrecy, but one of great depth and intrigue. With a desire for creativity and thirst for new music, he has brought together a diverse group of collaborators such as Bloc Party’s Kele Okereke, Blaenavon, Tender, Jones, Zola Blood, Austra’s Katie Stelmanis, The Boxer Rebellion’s Nathan Nicholson, Clap Your Hands Say Yeah, Joan as a Policewoman and Matt Simons. The first single 'In The Night' features the vocals of Ben Duffy, which paired with Claptone’s insistent and upbeat production, makes for an electronic pop track. It marks an engaging opening snapshot for what may be a milestone in his career. We caught a glimpse of his ambition to produce a body of work in his debut artist album ‘Charmer’ which has scored over 60 million streams and counting, but it’s in ‘Fantast’ that he really delves deeper into the art of songwriting. 2018 will see another big year of touring as a DJ as hevtakes his immersive 'The Masquerade' event experience further, having built momentum over the last 18 months hosting events and stages in Los Angeles, Berlin, Paris, Melbourne, Barcelona and New York and at festivals like Tomorrowland, Melt Festival, Elrow at Amnesia Ibiza, Green Valley in Brazil.